When the B-52’s sang about that infamous Rock Lobster, you could be excused for thinking it was a mythical creature that only exists in the wild and totally out-there lyrics of the song. But up in Cervantes, just 2.5 hours north of Perth, the Western Rock Lobster is as iconic as Queensland’s Big Banana, New South Wales’ Big Prawn, or South Australia’s Big Orange. And while our Lobsters may not actually all be that big in size compared to the east coast landmarks, the contribution to the town, and their massive popularity with tourists and locals alike, is something to admire. Yet with all of this, how much do you really know about WA’s own Western Rock Lobster? We’ve compiled to top 5 fun facts about these local guys for you to whip out on the next Lobster Shack road trip. Guaranteed to impress any travel companions! 1. Rock Lobster or Crayfish? Funny you should ask! Rock Lobsters and Crayfish actually come from different families altogether. And to get technical, Rock Lobsters are neither Lobsters or Crayfish, belonging to their own family entirely! We can see how it’s easy to get confused with many Australian and New Zealand folk commonly refer to the Rock Lobster as a Crayfish. While both are classified as crustaceans, one huge point of difference to remember is that Rock Lobsters don’t have claws! 2. Plenty of Fish in the Environmentally Friendly Sea! 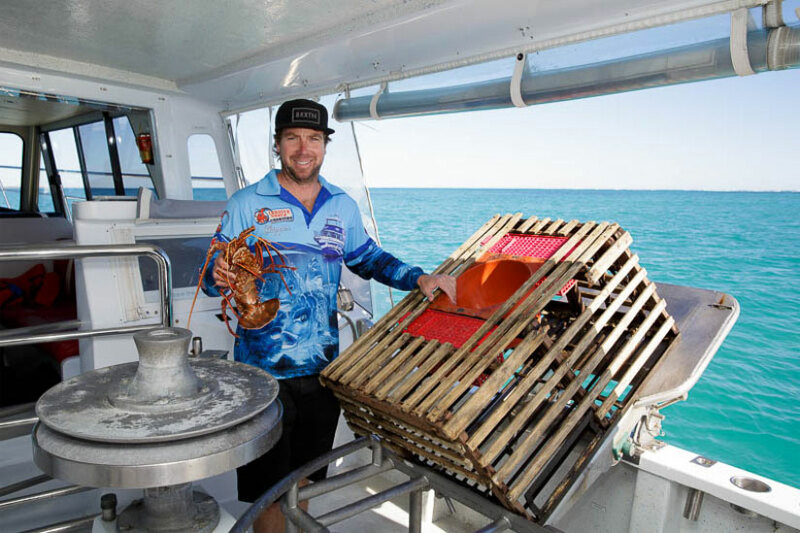 Did you know that the Western Rock Lobster fishery is now the most valued single-species fishery in Australia, representing about twenty per cent of the total Australian fisheries? Our commercial fishermen have a total catch allocation for the season, which runs 12 months of the year, from January to January! This means Lobster Shack can serve up the FRESHEST rock lobster all year round and our kitchen is open every day of the year besides Christmas! You’re welcome. Rock Lobster fishery was also one of the first in the world to be certified as ecologically sustainable by the Marine Stewardship Council, meaning all our practices are approved and environmentally friendly. Our Western Rock Lobster fishery area extends all the way from Shark Bay along WA’s north, to Cape Leeuwin along our south, and is made up of three separate zones. Within this area is where we find the freshest catches that end up on your plate, or on a plate in China, because did you know they’re our biggest live Lobster export partner? Most importantly, did you know that these creatures can live for more than 20 years, and can grow to a weight of up to 5kg! Fishing rules mean Lobsters over 3kg are rarely caught, but somewhere along our beautiful Coral Coast, are some large Lobsters living their best life! While there are plenty of predators in the sea, the first one that comes to mind may not be the octopus. However, these eight-legged creatures present a huge problem to commercial Rock Lobster fishermen, as they can squeeze themselves into fishing pots and wipe out an entire catch! 5. How many legs does it take to make a lobster? Along with octopus, Western Rock Lobsters can also become the prey of large fish in the ocean. It’s interesting to note however, that these smart creatures can regrow all of their legs and antennae! This incredible defence mechanism can kick in and literally save their life after predators have taken only parts of their limbs but kept the body intact. This amazing feature may well be what contributes to their 20 plus year life spans! So, there you have it, the top 5 things you never knew you never knew about our Indian Ocean pals, the Western Rock Lobsters. 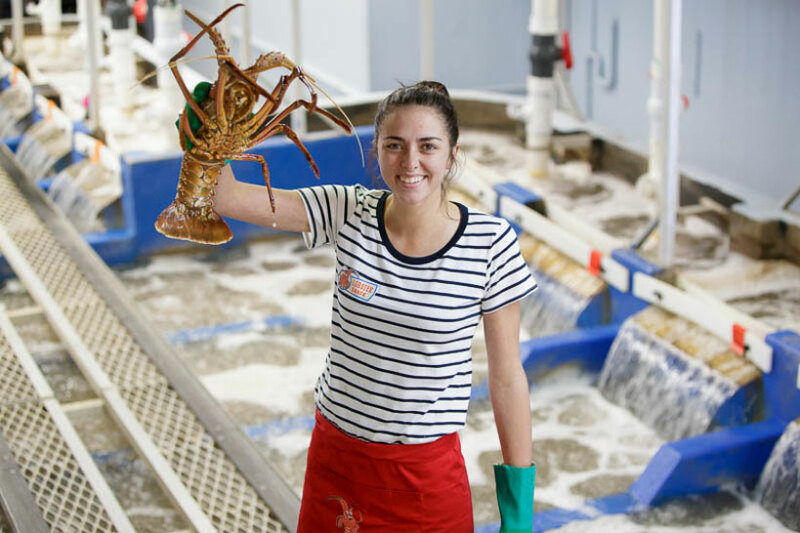 Next time you’re visiting Lobster Shack, why not join one of our factory tours and learn even more about the fishing, sorting and live export process. Or if we’ve got you, hook, line and sinker and you’re eager to learn more about these Cervantes superstars, click here and discover more about their life cycle, colouring and migration patterns!